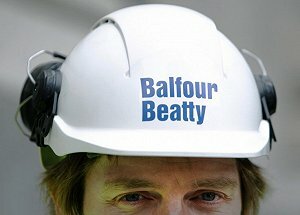 After announcing a first-half £150m pre-tax loss yesterday, Balfour Beatty has revealed it is to make 400 staff redundant as a cost cutting exercise. The business is looking to cut around £100m worth of costs from the business by the end of 2016. For six months to 26 June, Balfour Beatty posted a pre-tax loss of £150m, compared with £58m from the previous year. Underlying causes of the loss are attributed to a handful of problematic contracts, after underbidding on contracts to win work following the financial crash which affected the construction industry. These contracts with their wafer-thin profit margins, coupled with poor management, resulted in huge losses. The job cuts have been focused predominantly on IT, HR, Legal and Finance functions within the Group. Leo Quinn, Balfour Beatty’s Chief Executive, said he has confidence in the company’s future given ongoing efforts to turn the business around: “Six months in, our Build to Last transformation programme is gaining traction throughout the business. “We have a new senior leadership team and an organisation re-aligned with key customer sectors. We are on course to meet our 24-month targets for £200 million cash in and £100 million cost out. “In rising core markets, the group is continuing to win business on better terms across our operations. “In the last few months the awards of contracts or preferred bidder status for three landmark projects – Bergstrom Expressway in Austin Texas, nuclear new build Hinkley Point C power station electrical package and a UK smart motorway package – is a further endorsement of Balfour Beatty’s leading capabilities. Balfour Beatty also added: “Significant progress has been made to streamline the enabling functions within the Group, with new senior leadership in place for Finance, IT, Health and Safety, Legal, Communications and Investor Relations, Risk and Assurance and Procurement across the organisation. “The changes reduce costs where services have previously been duplicated in more than one business unit and ensure that best practice is delivered across Balfour Beatty in a consistent way.